The demand for steady energy supply is increasing rapidly. In order to satisfy an ever expanding consumer base, electricity companies are constantly improving their infrastructures and extracting natural resources, such as coal and petroleum, more aggressively. On one hand, electricity suppliers are compensating the additional cost of infrastructure expansion by increasing the service charge. On the other hand, the aggressive retrieval of natural resources is leading to environmental imbalance. By starting to use electricity more sincerely and responsibly not only these additional costs can be averted but also the demand pressure can be controlled. You not only enjoy more savings on your electricity bills but also take an important step towards the creation of a sustainable future. Here follows a list of six easy steps that can help you to conserve electricity and reduce the burden on bills. The traditional incandescent bulbs are not just power hungry but also costly and have a short life span. 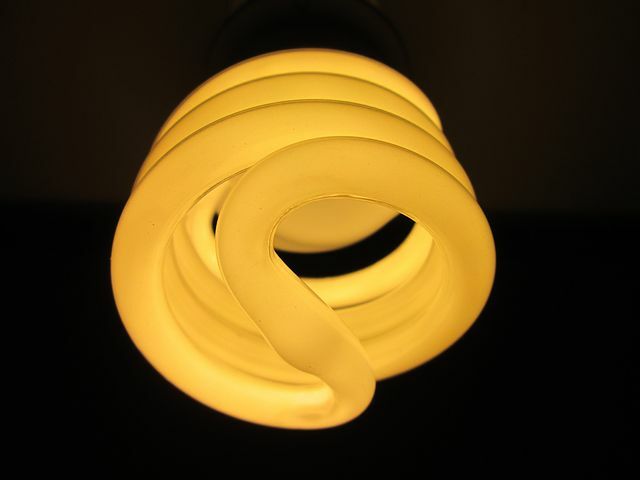 A CFL typically guarantees 10,000 hours of uninterrupted performance and consumes minimum energy. You would require at least 7 incandescent bulbs to receive the same efficiency while the electricity consumption remains considerably higher. Changing to CFLs, therefore, means you would receive the best value while reducing the energy demand. Governments across the globe are promoting usage of sustainable energy to complement the demand for electricity, instead of energy derived from non-renewable sources. Installing solar panels to harvest electricity from solar energy is an important step towards that direction. The initial cost of installing solar panels is high but you will enjoy the benefits in the long-run as solar energy would help you save up to 75% on your electricity bill. Electrical appliances with Energy Star label suggest that they comply strictly with energy-efficiency guidelines. The use of such appliances helps with reducing annual expenditure on electricity bills of an average household by 30%. https://gordonpowers.com.au is a trusted supplier of Energy Star labeled electrical appliances. Air conditioning systems take up a large portion of your daily electricity usage. Systems that are old and not regularly serviced consume more electricity, which ultimately reflects in the bills. Make sure that you service your air conditioner at least once every year so that it functions efficiently and reduces the burden on maintenance cost and annual energy bills. Changing temperature frequently or several times in a day leads to high amount of energy consumption. In order to save electricity, keep the thermostat steady at two degrees lower during winter and two degrees higher in summer. While leaving in a hurry, we often forget switching off our electronics goods and other appliances. Such habits not only lead to energy wastage but also put you under heavy financial pressure. The solution? Stay alert. If you are going to the next room, make sure that you turn off the light, fan or music system before you leave. Take a final look around your home before you depart for office or a party to ensure that none of the appliances are running unnecessarily. Teach your kids to act more sensibly while using power. Follow the above-mentioned tips if you are keen on saving electricity. You will not only save considerable amount on the electricity bills than before but also will play an important part in saving the natural resources.